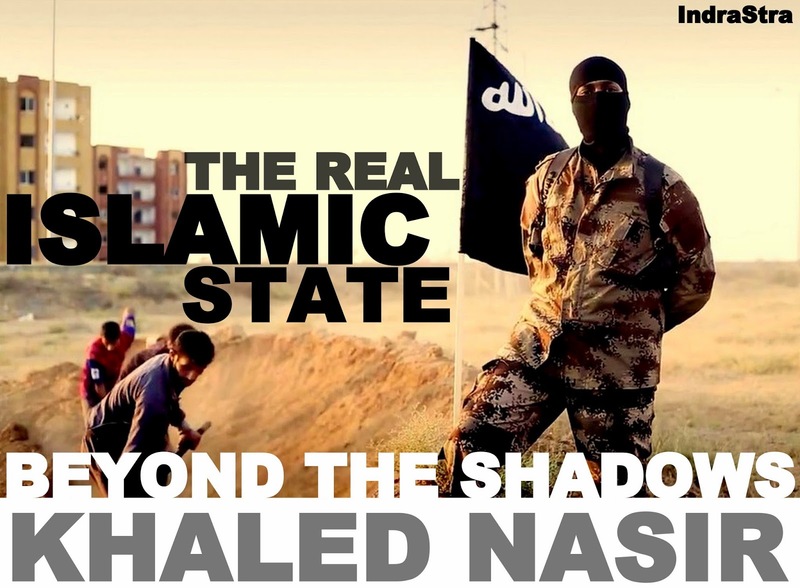 Today Islamic State - the organization has become synonymous with transnational terrorism. The image is of the terror group mostly falls under the popular stereotype-disgruntle, frustrated young Muslim all over the world being drawn to Syria and Iraq to establish their own version of ‘caliphate’. The group has already proven their capability of committing horrible beheading, killing rival fighters in mass, taking over a huge swath of land both in Syria and Iraq, and has unparalleled skill on usage of social media to promote and attract sympathizers worldwide. Although religious extremism might be fueling most of its follower's aspirations, recent reports revealed that the leadership, the real driving force is not the motley crew religious extremists, but highly disciplined masterminds of Baath Party leadership, who were instrumental for the longevity of Saddam Hussein using religious extremism to fight an insurgency. The insurgency would be a product of use of religious extremism combined with deadly covert military skills, led to the blitzkrieg offensive, caught Iraqi government off guard. German magazine Der Spiegel recently unveiled the connection between the IS leaders and former Iraqi Baath party elites. Samir Abd Muhammad al-Khlifawi former Colonel of Intelligence Service of Air Defense Forces, who used Haji Bakr as an alias, got killed in Syria in January 2014. The Syrian rebels claimed that the former Iraqi intelligence officer was killed in firefight at Syrian city of Aleppo. The Magazine also managed to obtain 31 pages of handwritten charts, lists and schedules that amount to a blueprint for the establishment of a caliphate in Syria. A folder full of handwritten documents was also found showing organizational charts lists and schedules, with detail notes on how a country can be gradually subjugated. Most astonishing part of obtained documents show that how detailed Bakr went on to sketch the intelligence operation to create a network where both local and external sources would be collected and coordinated, how the group would gouge the mode of the local population, the use of blackmail to turn villagers against the locals, taking advantage of the religious jurisprudence to influence legitimization of actions and use of marriage as a form of alliance at the local level. His writings clearly state on truth, that insurgency objectives cannot be achieved by only relying on fanatical religious convictions; the group carefully exploited religious divide to the fullest both in Iraq and Syria. Unconventional warfare tactics honed by the years of Baath regime where the use of Psychological warfare through propaganda, kidnapping and target killings, were hallmarks of the Mukhabarat. Saddam-Sanction era ensured in given conditions IS would not only survive but also thrive- owns much of the success of IS blitzkrieg. To understand the men like Haji Bakr, we need to understand the history of the Iraqi army and how the dictator Saddam Hussein molded through 8 years long campaign against Iran in the 1980s, to use of covert militias to oppress the forces he seen as hostiles within the borders most notable on the Kurds. The ‘de-Baathification’ process, which resulted in a ban against former regime supporters from joining the post-Saddam government and military, would come to be fully exploited by IS in later years. The processes allowed IS to recruit disgruntled Sunni men with considerable military experience and benefited from integrate skilled officers and commanders into its ranks who had served under the Baathist regime, giving the group a huge strategic advantage. Many in the Baathist military also suffered imprisonment during 2003 on wards - from Abu bakr al Baghdadi the self styled leader of IS to Haji Bakr the commanders who were staying in the shadows, IS exploited this opportunity as imprisonment, gave the Jihadist the opportunity to influence the others, to be recruited in their ranks. As Mao Tse Tung states, in any guerrilla war campaign, there are three stages. The first involves the Latent or incipient stage. This is the phase where the insurgency is forming. The bitterness of the Sunni elites and political isolation had paved the path to reconnect and recruit the former soldiers of the regime. At the second phase of the insurgency in Iraq, the groups tend to use small and soft targets, for example attacking small leaders, places of worship for a different sect; use of IED etc. The third phase came along when the Syrian civil war began to rage. Now with military expertise and considerable experience, the insurgents began to hold on to the territories with coordinated assaults- as seen in Kobane and Tikrit and IS version of state building along with political agenda, the establishment of the caliphate itself; which is a political entity. Perhaps, most devastated weapon of IS would not be the beheadings, burning humans alive but connecting transnational fighters to join a common cause. The Afghan jihad brought fighters from different nationalities to fight Soviets. Al Qaeda or “the base” benefited not only from finding a steady source of recruits; it helped the organization to franchise their ideas and expertise. When IS established itself as a major power in Syria after breaking off with Jabath Al Nursa, a huge number of foreign fighters aligned themselves with IS and this trend in spreading to other parts including Nigeria through Boko Haram, and in Libya groups like Islamic State in Tripoli Province. Arab spring swept away the Arab world, responsible of overthrowing dictators in a number of countries like Tunisia, Egypt and Libya, however post Arab Spring has significantly weakened these states. Weak states like these share the same fate; where many parts of the country had become ungoverned. Both creation and growth depends on the factors that favors the militant groups- a lack of governance; a lack of rule of law, a steady support base from both internal and external sources, exploiting the legalization factors; giving the public image of the “Caliph” of the “Emirate”. The most important element is the valuable intelligence and ones who would control intelligence, would always gain the upper hand while keeping the masterminds well hidden in the shadows. The author especially thanks U.S. Army Lt. Col. Joshua J. Potter for his advice and guidance.